Sonos took the wraps off its latest smart speaker at an event in San Francisco earlier today. The $399 Sonos Beam is smaller and less expensive than either the Sonos Playbase or the older Sonos Playbar, and it will support Apple’s AirPlay 2 multi-room audio technology when it ships in July. Users will be able to control the Beam—as well as Sonos’ first smart speaker, the Sonos One—with voice commands using both Apple’s Siri and Amazon’s Alexa digital assistants. 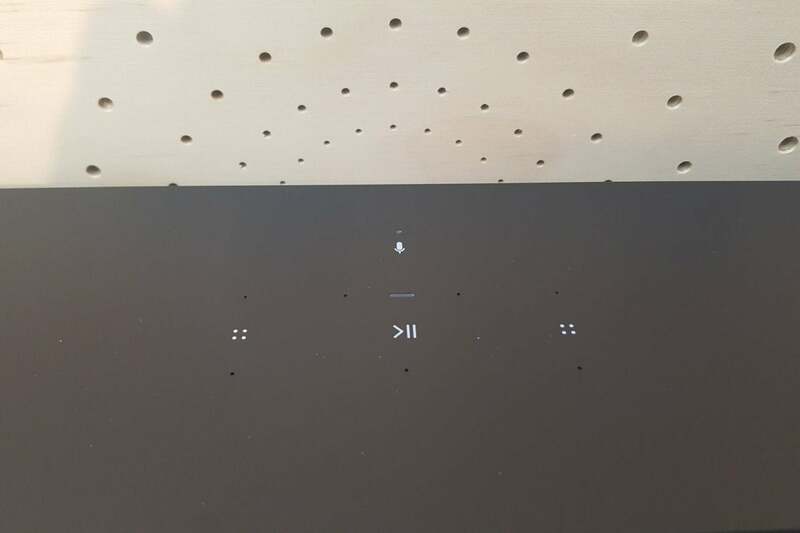 Sonos’ long-promised Google Assistant support, however, remains in development, and the company did not demonstrate it during today’s demo. 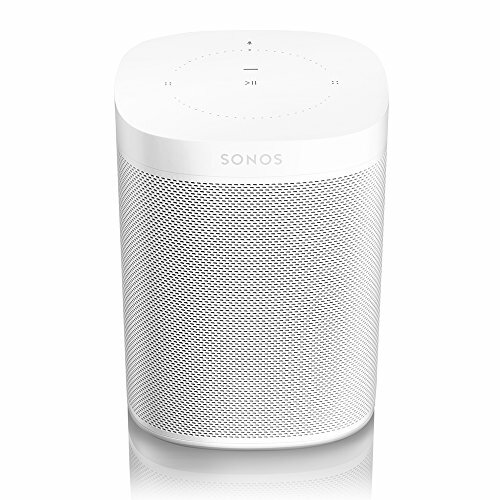 AirPlay 2 compatibility will also be added to the Sonos One, the second-generation Play:5, and the Sonos Playbase in July. Older Sonos speakers will not get the feature, marking one of the few instances where new capabilities don’t filter through the company’s entire product line. 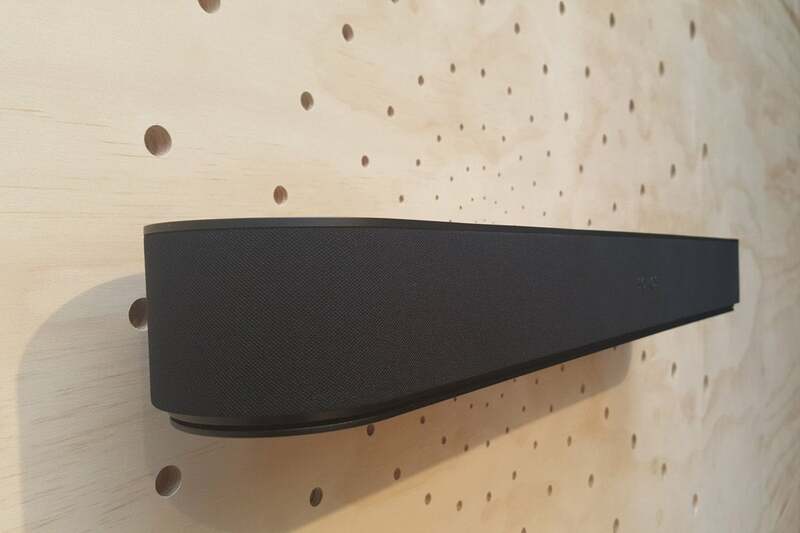 The Sonos Beam can be mounted on the wall, as shown during the demo, or placed on a cabinet in front of a TV. The 25.6-inch-wide Beam houses four full-range drivers and a single tweeter, each of which is powered by a discrete Class D amplifier. These active drivers are supplemented by three passive radiators to enhance bass response. The speaker sounded strong in the makeshift demo room following the main presentation, but I’ll reserve judgement about its performance until I can get my hands on a production model for review. 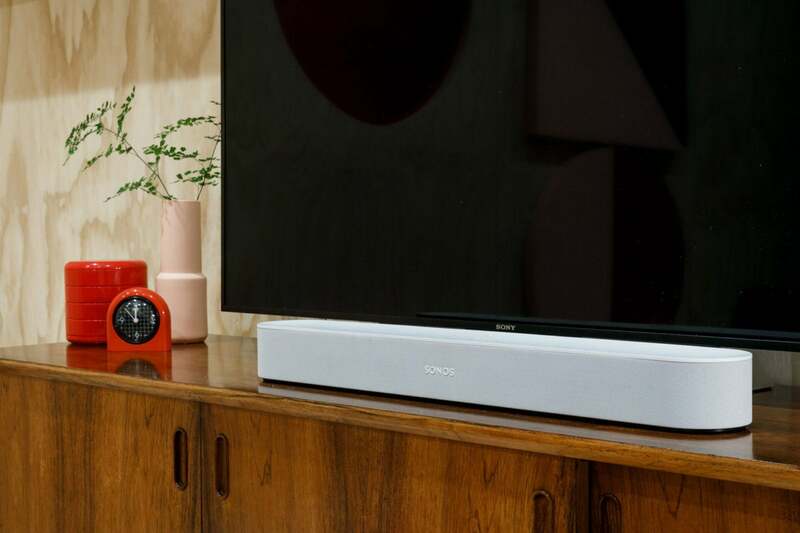 As you’d expect, the Beam can be paired with Sonos satellite speakers for true surround sound, and the Sonos sub for beefy bass response and low-frequency effects in TV and movie soundtracks. An array of five far-field microphones is onboard for voice commands and for Trueplay, Sonos’ proprietary room-correction software. Inputs are limited to a single HDMI with ARC (Audio Return Channel), 10/100Mbps ethernet, and—of course—Wi-Fi. The Sonos Beam soundbar has the same controls as the Sonos One smart speaker. “Our ambition is to support every voice service that matters,” said Antoine Leblond, VP of Software at Sonos, citing development efforts with China’s Tencent, Baidu, and Alibaba in addition to Apple. As for Google Assistant, Leblond said Sonos was “deep into working with those guys,” but that’s as far as anyone at the company went during the event. Eager to emphasize the seamless operation between using both Alexa and Siri to control its speakers, Sonos representatives frequently switched back and forth between the two platforms, streaming tracks from Apple Music and then asking Alexa or Siri to pause, skip to the next track in the playlist, and stream to additional speakers on the network. 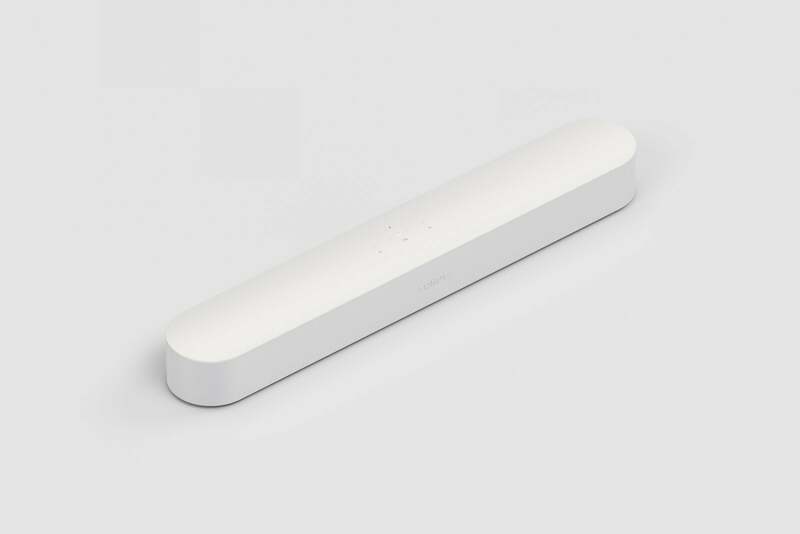 The new Sonos Beam will be available in white or black. They also used Alexa to dim the lights, and they even streamed a movie from an Amazon Fire TV. In every instance where they streamed from Apple Music, however, they initiated playback with a finger tap on the iPad app. When I quizzed them on that, they assured me that users will be able to use Siri to initiate playback as well. And to be fair, the speaker won’t ship—and AirPlay 2 won’t be available—until July.